Thread: Patch Notes XXVIII | Presets | Donor System REVAMPED & More! Welcome to Patch Notes XXVIII (#28, noobs). We have a lot of exciting things to announce here today! A wide range of new content, features, & some bug fixes of course. With the entire Ely team now getting settled into their new positions and everyone filling their spots nicely, we're working like a finely-tuned machine. Expect great things. Without anymore nonsense blabbering, let's get into this week's update..
Be sure to keep reporting items that are not tradable that should be, this may not be all. Mudskipper Point now spawns Mogres. 1HP Cave Horrors have been replaced their with proper NPC's. Royal Crossbow has been given a base value of 1M GP. 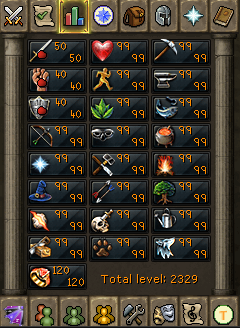 Completionist Cape & T now require max level in all skills to wear (oops). Christmas Mystery Box's "very rare" table (Sleigh, Scythe, etc) has been given an adjustment upwards to increase the chances of hitting those. Santa Costume Top has been fixed. 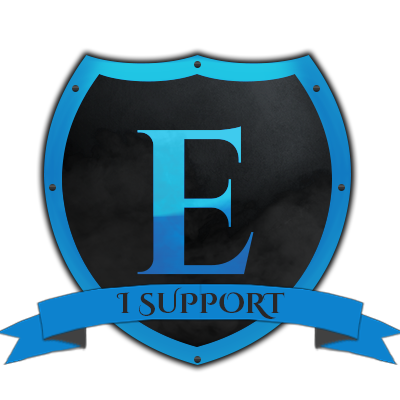 Since the beginning of Ely, our Donor System & it's perk's were reliant upon purchasing Unlockables for mostly basic RS content. Over the course of time I've discussed multiple times eventually re-vamping it and considered removing them completely. Today now marks the day that has finally been accomplished. We have removed the Unlockables from requiring to be purchased separately. When you become a Donor now, as small as the Guthix ($5) Donor you now receive access to all this content automatically in the Donor Zone. No longer will you have to purchase an Unlockable to fish Rocktails. The moment you become a Donor to Ely, you receive access to this in DZ. As well as all the others such as: Loom Crafting, Warlock Hunting, Gold Mineral Mining, etc. What happens if I already purchased one or more of these Unlockables? will be credited every EPoint you spent to acquire them and you may re-use those points in the shop for whatever you please! Runespan is now free for everyone to use! 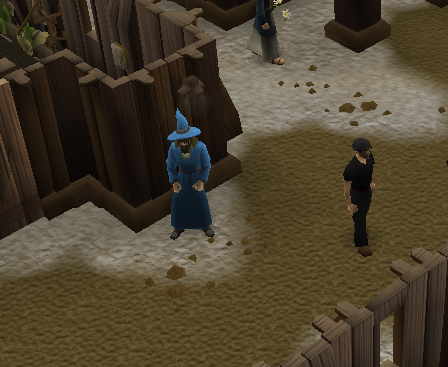 Runespan is now open for anyone to use as an alternative training method for Runecrafting, NOT only Donors! 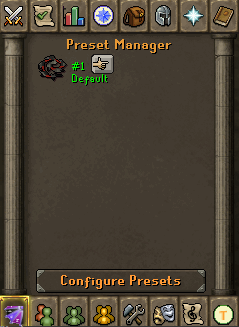 We have brought the ability to create & save presets to Ely! 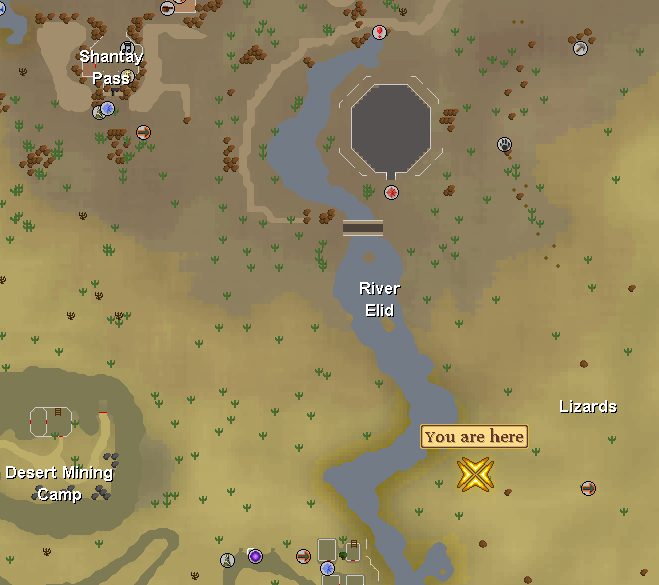 This is such an amazing feature & will make playing Ely even that much more exciting. To get started, I'm going to explain how to properly use this system & how it works..
Once there, you will be presented with your one & only default preset (cannot be deleted). From here, is where you can edit your default preset, or create new ones. Creating a new preset is very simple & straightforward. To do this, click on the "Configure Presets" button. To create a new one, click on "Save Preset" then "Save as new preset." Doing so will save whatever items that are currently equipped as well as any items in your inventory. you may need to do something such as PvMing / Bossing a particular boss and save it as a "Corp" load-out. And at any time you are going to head to Corp, all you have to do now is click the finger icon and your character will be suited up. Keep in mind: when switching presets, or loading one, you cannot have any items on your character or inventory. Be sure to bank everything! The preset's can be fully customized. For example you can change the preset icon to anything you'd like by clicking "Change Icon Item." You can set a description like I have in the image above such as, "Corp" by clicking "Change Description." These presets can get even more interesting than just this. You also have the ability to create unique presets that also save custom levels. To do so, when creating a new preset, click on the "Set Level" option. This will present you with a new menu in your chat box to adjust levels in skills such as: Attack, Strength, Defense, Prayer, Magic, Summoning, etc. 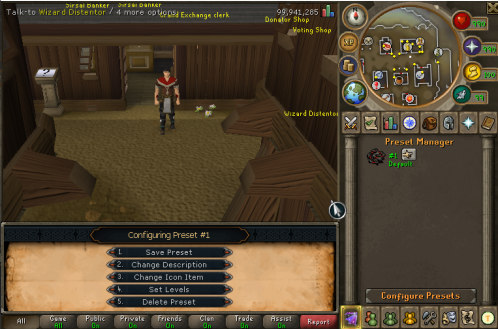 Keep in mind: Using the Set Level option will NOT grant you any combat XP while using a preset with custom levels set! Once done setting your levels for whatever purpose (maybe a Pure preset?) 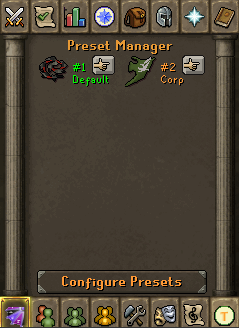 just click the "Configure Presets" button in the SOF tab to return to the previous menu. From there you can simply click "Save Preset" and choose between saving this as a new preset, or update the current one & you're done! 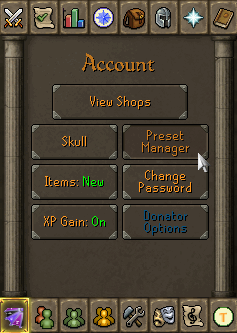 To return your skills (or setup) back to normal, just click the default preset option. We really hope you guy's enjoy this weeks update & remember, please report any bugs you may come across to our forums and/or Discord! Please provide some feedback on your thoughts & comments below! Last edited by Lation; 01-08-2019 at 04:52 PM. Great update alot of stuff being fix recently. Real good to see. This is what I like to see, quality updates. Good work Ely team. Keep it up!